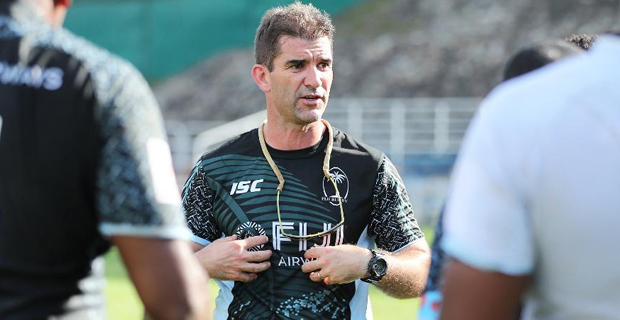 Fiji Airways National 7s coach Gareth Baber will be taking sixteen players to Utah at the end of this month ahead of the Rugby Sevens World Cup in San Francisco next month. Baber and the national 7s side arrived in the country today after finishing second in the 2017/2018 World Sevens Series with five tournament wins. Baber says it was unfortunate that they could not bring home the series title but they have now set their focus on the World Cup next month. He adds that he will closely monitor the performance of Leone Nakarawa, Semi Radradra and Josua Tuisova. The players have been given time to rest and spend time with their families before going back to camp next week. Baber will name only 12 players for the final team to the World Cup. The Rugby World Cup Sevens will be held from the 21st to the 23rd of next month.